Over the past 10+ years of this gold and silver bull, I’ve seen gold and silver “newbies” repeatedly make the same mistakes. So I’ve decided to write this short article to help people more clearly understand gold and silver price behavior. There are 3 solid rules to follow and understand when buying gold and silver bullion and or mining stocks. Because of the lack of understanding of these rules, many investors unfortunately unload gold and silver assets at the exact wrong time, at the bottom of long corrections and right at the beginning of huge new legs higher. Back in mid-May, when I wrote that it was a very low-risk, high-reward point to buy gold and silver assets, virtually no one outside of the very small circle of seasoned gold and silver investors were interested. 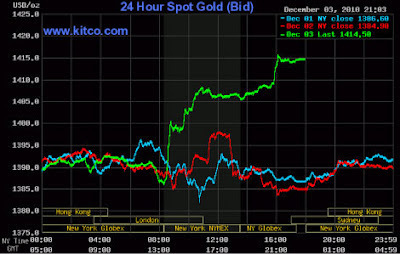 Now that gold and silver have risen considerably since that point and time, there is more interest than just a few weeks ago, but again, some newbies will make the mistake of buying into gold and silver now, and on any slight pull back, listen to the doubts disseminated by the mainstream media, and panic sell again. I previously stated on August 16, 2012, the following: “The one thing I can guarantee, however, is that when gold and silver finally make new highs, and they will, some of the ferocious moves higher are absolutely going to stun a lot of people.” And I still stand by this statement. In retrospect, I don’t consider the recent moves in gold and silver to be part of the “ferocious moves higher”. That hasn’t happened yet and we’re still a bit away from the manifestation of the scenario that will trigger these moves. Still, some of the moves higher in gold and silver that will happen over the next 1-2 years will be so rapid and shocking that to most people, they will seem impossible given the psychological damage done by the past 18-month gold & silver correction and consolidation period. And to those that pay too much attention to the mainstream financial press and not enough to the realities of the physical, not paper, gold and silver markets, these violent moves higher will be likewise shocking.